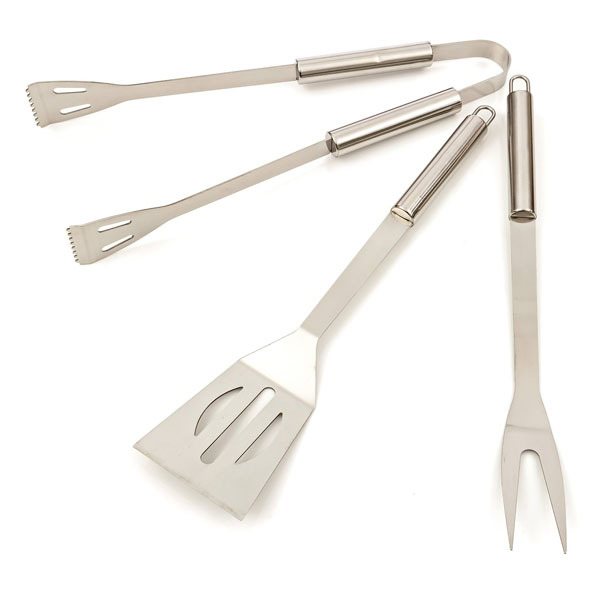 1.BEST VOTED ACCESSORIES: The finest heavy duty BBQ grilling utensil sets. 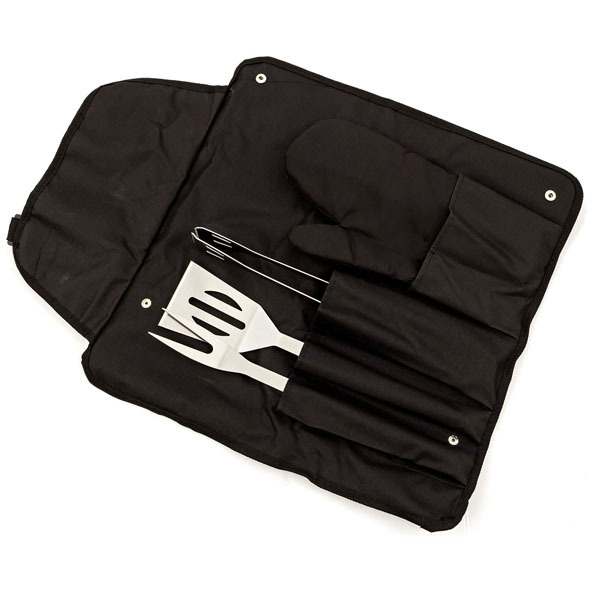 BlizeTec grill set includes a spatula, tongs, grill fork and a bonus BBQ Glove. 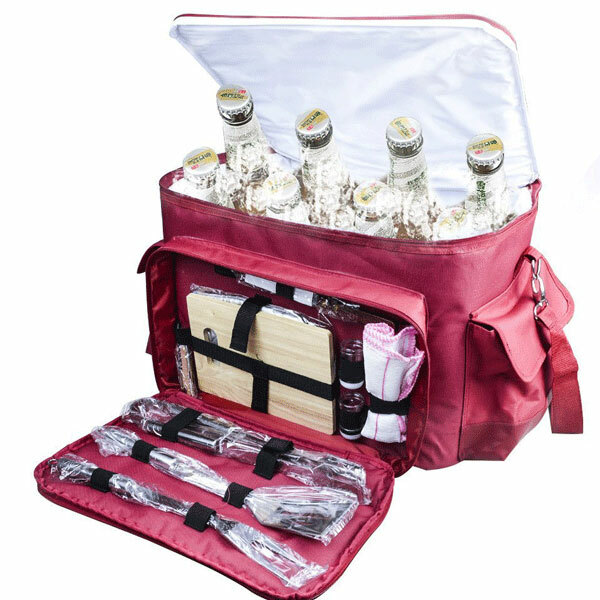 Each piece is constructed with quality stainless steel handles embossed with BlizeTec logo. 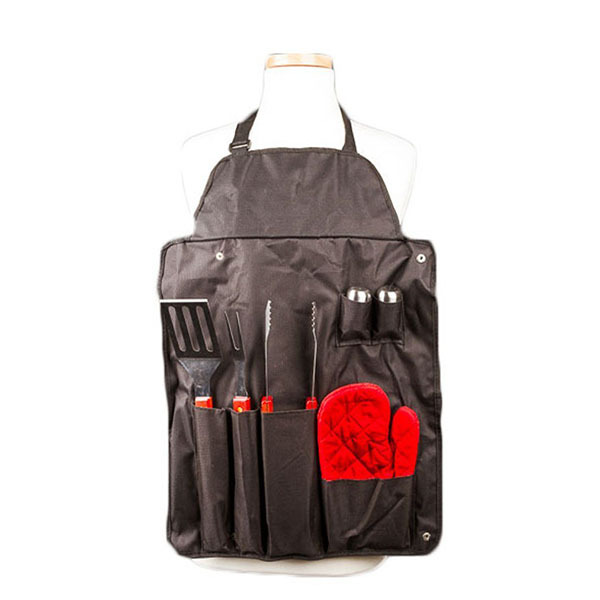 The package also comes with a classic apron style black carrying case. 2.HOUSEHOLD AND CHEF FRIENDLY: Regardless you are an amatuer or a BBQ master, you will come to realize BlizeTec BBQ grill tools are your best companion. Built with durable 420 corrosion resistant stainless steel, the grilling tool set provides exceptional performance and durability. Handles are made of impact and shock resistance SS handles, shaped for comfort and control. The set is dishwasher friendly. 3.PERFECT SIZE AND ERGONOMICAL: Model BT583BQ is built with quality in mind. Ergonomically designed for right and left handed individuals. Dimension - Fork:13.28 inches(L)*0.70 inches(H)*1.37 inches(W); Spatula:13.38 inches(L)*0.78 inches(H)*2.95 inches; Tongs:13.18 inches(L)*0.78 inches(H)*2.28 inches. Total weight of the tool set is 12.69 oz. 4.BUILT TO LAST: Our uniquely design BBQ stainless steel tools are catered for master grillers. 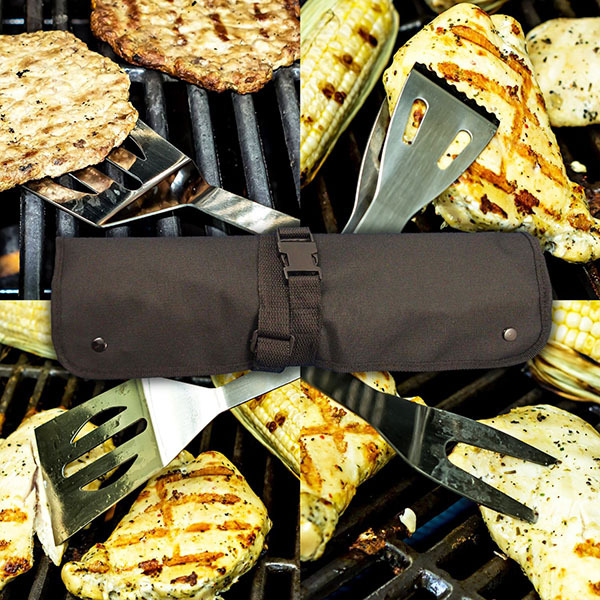 BBQ tools longer handles and are thermo-resistant to reduce the risk of burns. The complementary protective glove may also be essential to reduce the risk of burns if the barbecue stove is equipped with infrared radiant burners. 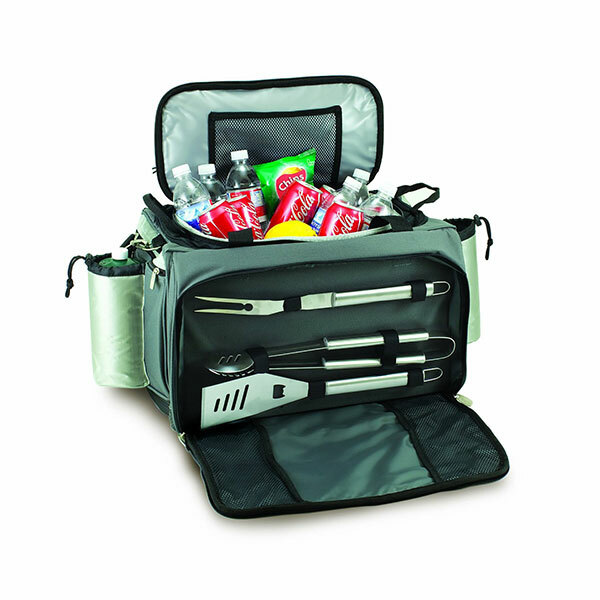 Last but not least, the easy to carry BBQ case can safeguard your tools while they are not in use. The case also has hanging functionality. 5.LIFETIME WARRANTY: Model BT583BQ is a MUST HAVE grilling & BBQ utensils for those who enjoy outdoor cooking; An ideal gift for friends, families and your loved ones. This premium grill accessories come with a lifetime warranty with proof of purchase ONLY directly from BlizeTec(original trademarked manufacturer). 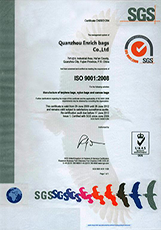 Beware of counterfeit, BlizeTec is the SOLE carrier & distributor of BlizeTec BBQ tool set. 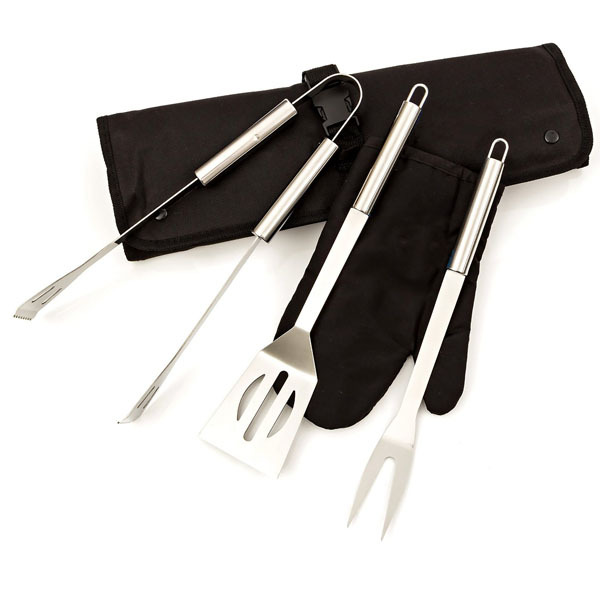 * Quality 3 PC BBQ set made of anti-corrosion 420 stainless steel. * Secure longer SS handles with no risk of burning yourself. 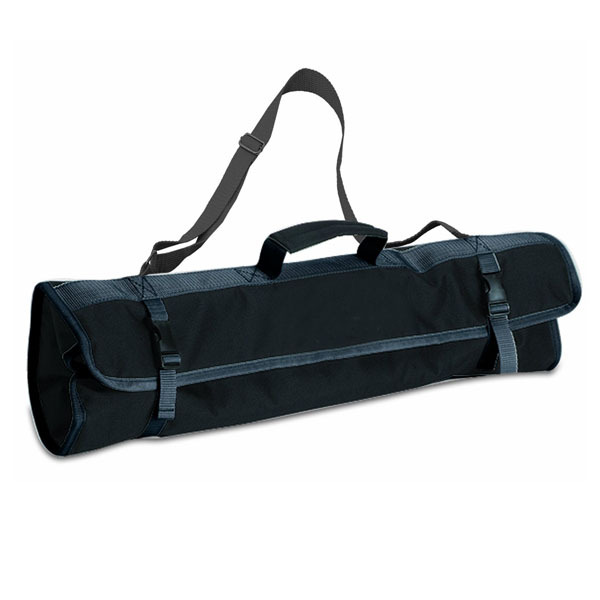 * Build-in safety handle ring on each tool accompanied by a quality case. * Premium packaging and inclusive of a complementary BBQ glove. 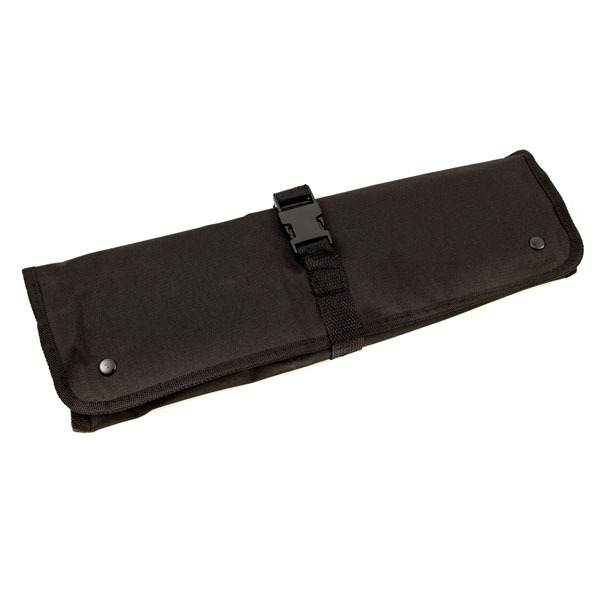 * Light and easy to carry apron friendly case so you can always bring along your set. * Dishwasher friendly and back by a lifetime warranty.